The London Oratory Carol Service takes place on Thursday 19 December at 7.30pm featuring both the Junior and Senior Choirs of the Oratory. 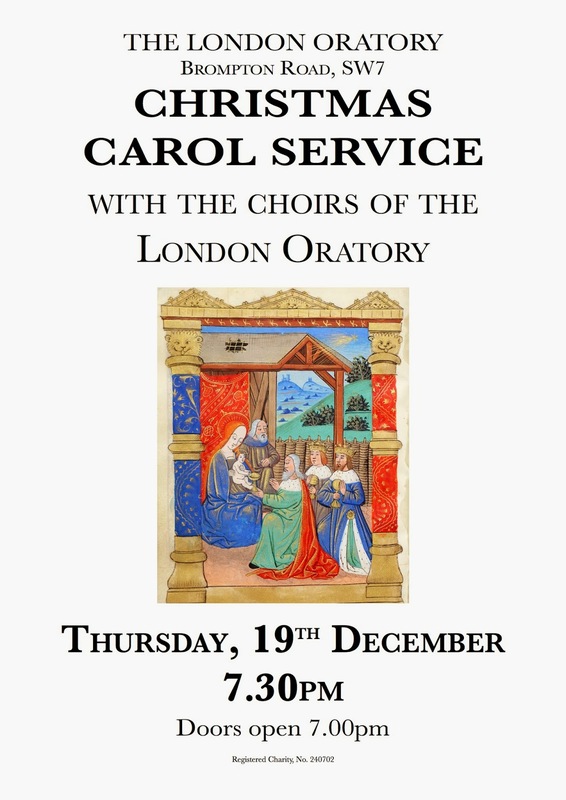 The Carol Service was reviewed by the Daily Telegraph in 2009. Doors open at 7pm and admission is free.